This epic TV series is heavily influenced by the Middle Age European history. Just like many other historic TV show pilots, there are a lot of situations and characters to take in this first episode – you won’t be remembering the name of the places and characters for a while. 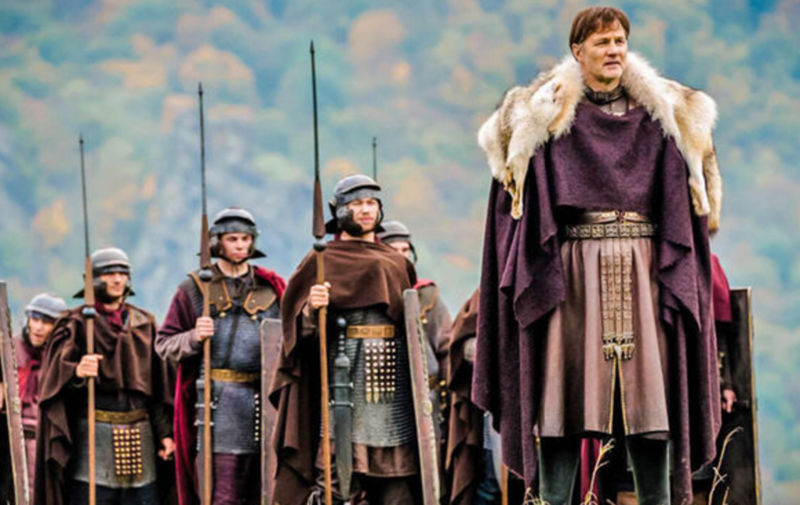 Take the introduction of Aulus Plautius played by David Morrissey for example. He is introduced as a smirking and laddish Roman General who comes to Britannia to finish the job that Julius Caesar started hundreds of years before that – to conquer the world. Apart from invading Britannia, he also has some unspecified personal itch which is still hidden to us. In the first episode, we meet the great Aulus toying with mutineers who are awaiting their sentence. We get to experience the comedic side of this show when the accused start to mumble about sea serpents and giant squids. However, it stops being funny when the Romans slaughter the entire Celt tribe. Intoxicated and unarmed, the Celt did not stand a chance. They were busy partying around their campfires, and the Roman took advantage of the situation and moved through them like a red-hot knife cutting through butter. This ruthless attack leaves Cait (Eleanor Cox) without a mom, sister, and grandfather. Her father is also captured as a slave. And so, she has to muster all her strength and embark on a journey to save her father. She is accompanied by Divis – her reluctant travel partner and an outcast druid. This pair is entertaining, sparky, and yes, a delightfully reminiscent of Arya and the Hound. If you are looking for a convenient way to watch the new episodes of Britannia, subscribe to STARZ PLAY. You’ll never miss a moment.